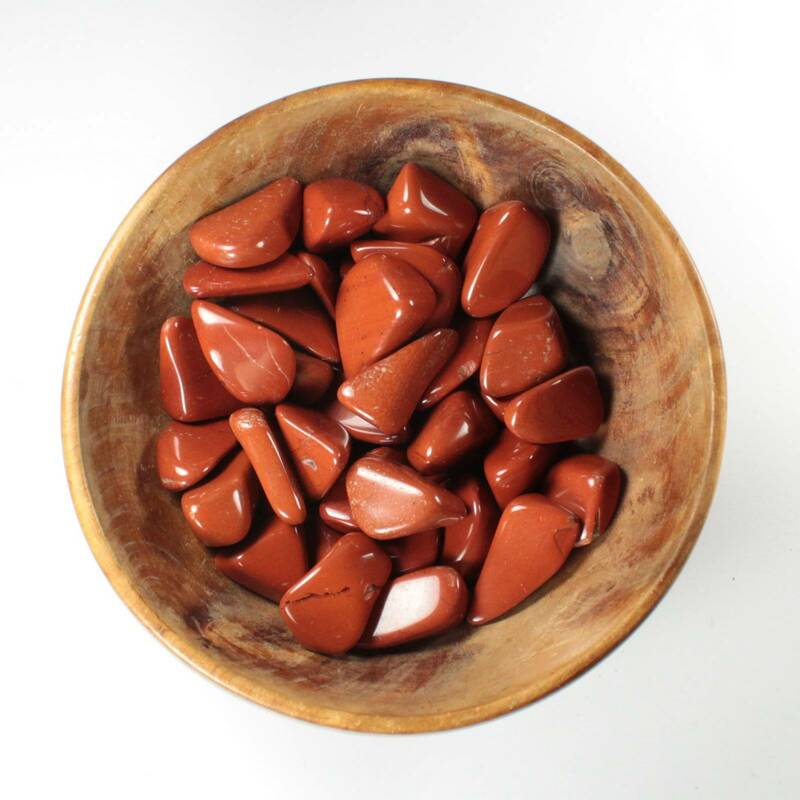 Lovely Red Jasper tumblestones, available in three sizes. Lovely Red Jasper tumblestones, sold in three sizes. These pieces have a decent scarlet red colour to them. Some may have a few darker spots and the occasional black or white band. Because of their colours, they make a decent contrast stone with black or white stones, too. We sell a range of packet sizes of these stones: from a single piece to a larger packet, containing ten tumblestones. 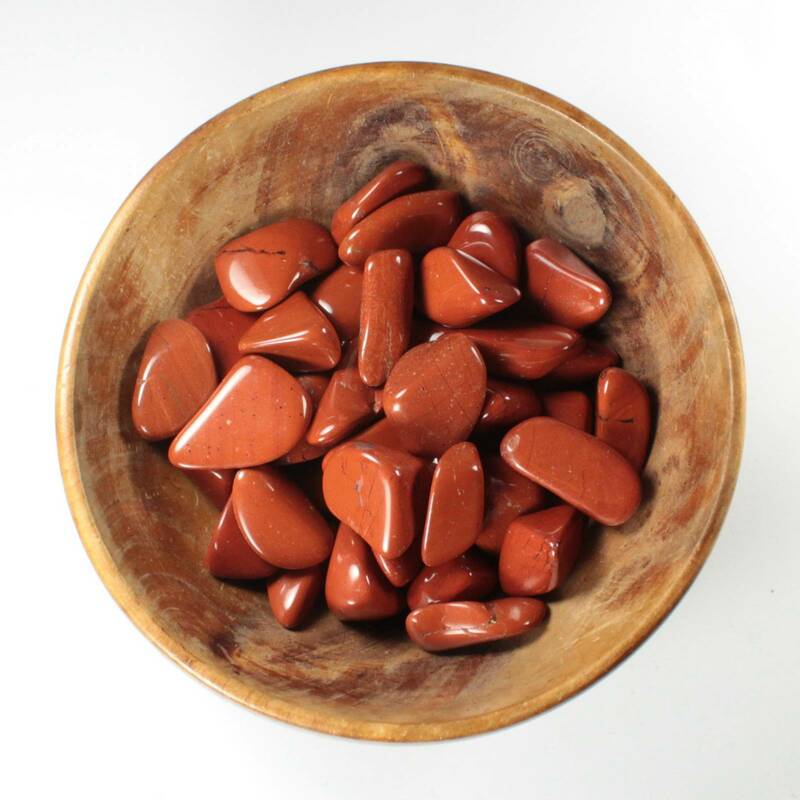 For more information about Red Jasper, and a full list of all our related products, see our main ‘Red Jasper’ category page.